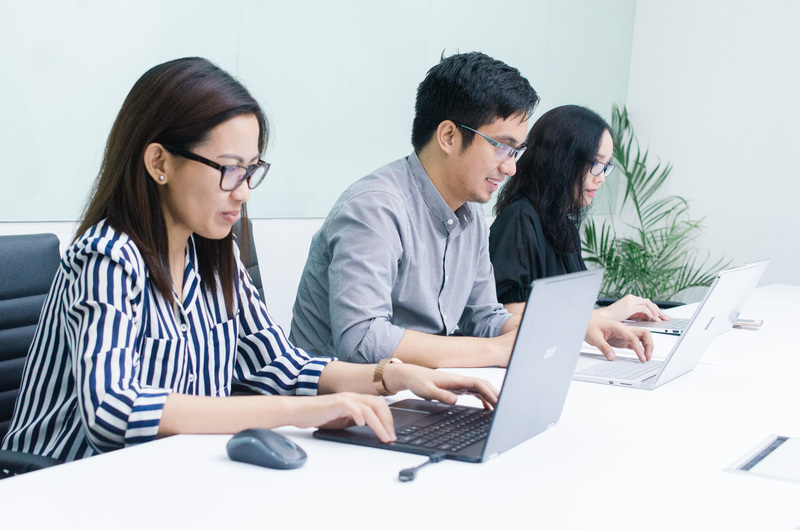 SigridAI is looking to hire ambitious, experienced, resourceful and tech-savvy Associate Executive Assistants who are interested in joining a technology start-up based in Europe and Asia. This is a part home/part office-based position currently open to candidates based in Metro Manila, Philippines. Do you live in Metro Manila? Do you have experience working as an; Executive Assistant, Personal Assistant, Executive Secretary, Admin Assistant or Admin Supervisor in a customer-centric role dealing with executives or VIPs, in a concierge service or in another type of administrative support function? Do you have experience in project management (handling tasks from conceptualization to execution, monitoring, and completion)? Are you able to resolve issues and identify solutions through reports generation and data analysis? Do you love working with teams? Is your expected monthly salary level between PHP25.000 and PHP30.000? If you answered 'Yes' to all the above questions, then you are eligible for this job position, and we look forward to receiving your application. SigridAI is a high-end Executive Assistant and Life Logistics Management Service staffed by humans and powered by artificial intelligence. Our mission is to provide the right people, platform, and processes to optimize busy executives’ lives, by delivering an uplifting and world-class executive assistant service each day that allows them to outsource the day-to-day activities that keep their personal and professional lives on time and target. We aim to democratize access to executive support and to create a world-class work-life balance for our employees that allows them to realize their professional goals, while staying close to their families and communities, from the comfort their home. SigridAI’s executive assistants (EAs) service clients through MySigrid – an advanced AI-powered task management and communication platform built specifically for executive assistants. The platform enforces standardized processes for the handling of a task category, improving quality, reducing human error and increasing speed. The EA personally handles all complex tasks and takes overall responsibility for the quality of the service experience, while being supported by and coordinating the work of a team of associate EAs and Specialists in areas such as Travel Management, Life-Logistics Management, Expense Management, and Research. The primary responsibility of the Associate EA is to assist the Senior EA in day-to-day tasks to ensure seamless client service deliveries, to liaise with the EA to transfer requests and tasks that require detailed follow up and logistical arrangement, to assist the EA in resolving administrative issues by coordinating on behalf of them and identifying solutions and to act as an efficient back-up EA in the event of manpower and scheduling conflicts. Travel Management (Flights, Hotel Accommodation, Transportation). Book and manage both business and private travel, accommodation and ground transportation, including obtaining price quotes, booking flights & buying tickets, handling check-in, booking hotels and restaurants, booking private car services and arranging for public transportation, etc. Calendar & Meeting Management (booking meetings & calls for clients). Organize and manage clients' calendars, including proactively planning, managing and handling all correspondence about meetings, calls, and events. Expense Management/Expense Tracking. Consolidate, prepare and submit expense reports for clients' reimbursements and liquidations. Other Service Areas: Associate Executive Assistants will be involved in a broad variety of tasks and projects, including research, preparation of presentations, data entry, maintenance and monitoring of memberships, online accounts, bills payables, and renewals, organizing and keeping soft copies of documents and files for clients, etc. 1 - 2 years' experience in an Admin role in any industry. A high level of spoken and written business English: ability to use the language fluently and accurately on all levels and as normally pertinent to professional needs, can understand and participate in any conversations within the range of own personal and professional experience with a high degree of fluency and precision of vocabulary and makes only quite rare and minor errors of pronunciation and grammar. Excellent time management skills: knows how to prioritize work, and able to multi-task to get things done efficiently. Can handle research, preparation of presentations, data entry, maintenance and monitoring of memberships, online accounts and bills payables. Proficiency in MS Office and other web-based applications. Has high attention to detail. A strong sense of customer service and enjoys proactively anticipating the needs of others. Strong analytical skills and the ability to understand information immediately. Ability to work efficiently, think clearly and solve tasks accurately under pressure. Desire and ability to work in a fast-paced technology environment. With a quiet place at home away from any disturbance, a laptop, a smartphone, and fully running Wi-Fi connection (3mbps or higher). Vacation leave and Sick leave credits. HMO Package for the employee and two codependents. Comprehensive training and continuous learning advantages. Opportunity to contribute to new technology and help develop a high-end AI system that assists humans by optimizing their work-processes. High importance to work-life balance with the opportunity to work from home part of the week. Opportunity to venture into other areas of the business as you continue to contribute to the growth of the company. Be part of a dynamic team of specialists who openly and willingly share their knowledge with their colleagues. Work in a corporate culture that encourages collaboration, with an emphasis on our core value: Integrity, Passion, Teamwork & Respect, Pro-activeness, Accountability, Determination. 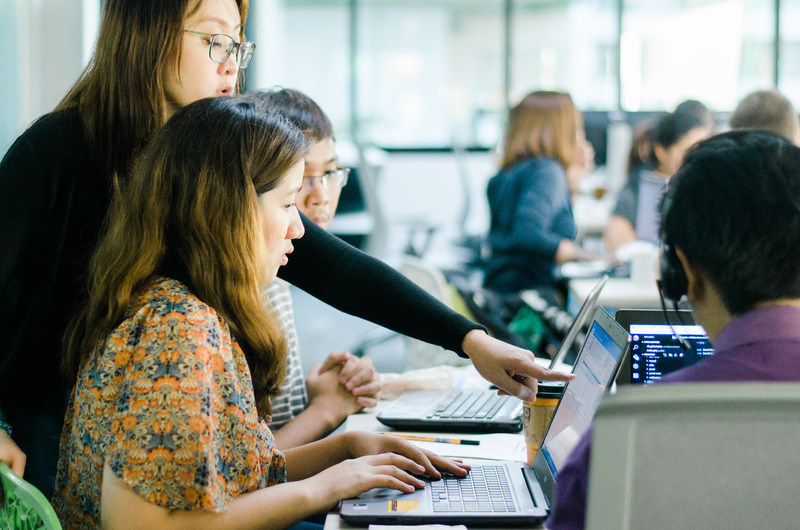 Sigrid.AI has a co-working office in Bonifacio Global City (BGC), The Fort, Taguig Cty where the whole team and the management meet twice a week at the minimum.